Vodka. Whiskey. Gin. Tequila. Rum. Shochu. Some of the most famous liquors in the world are the distilled alcohols of fermented grains, vegetables and herbs. And Japan’s shochu is easily one of the most enjoyable and drinkable of the list. Shochu is a distilled beverage made from water, koji, yeast and other ingredients such as rice, barley, sweet potatoes, brown sugar or buckwheat. 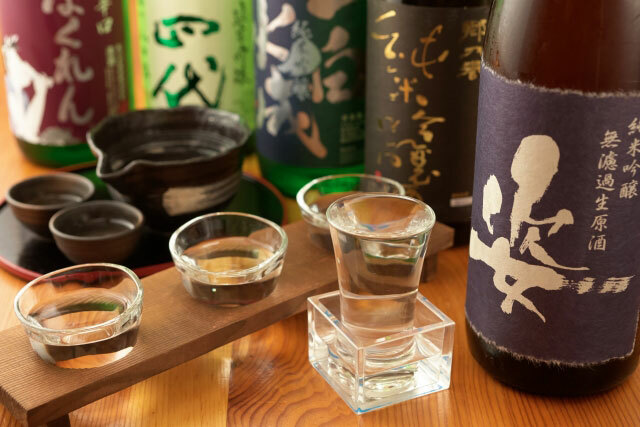 Enjoyed throughout Japan, shochu, like sake, has become increasingly popular all over the world. And while shochu is a quintessentially Japanese drink, its origins are international. The production of shochu in Japan has been documented to the 16th century. Historical information indicates that shochu was introduced to the area known as Ryukyu, or modern-day Okinawa, by traders from Siam, or modern-day Thailand. That drink was called arrack, the origin of which has been traced to ancient Middle Eastern and Mediterranean civilizations where an anise-flavored liquor called arak was made from the distillation of fermented cereal grains. 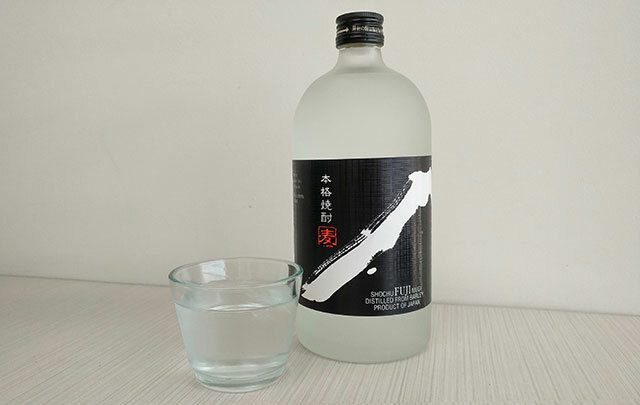 The Okinawan style of shochu, called awamori, is still made today, although the more popular honkaku shochu is considered the most authentic Japanese shochu and is primarily produced in Kyushu region. Honkaku shochu production became varied and robust during the Meiji Period (1868-1912) in Japan. 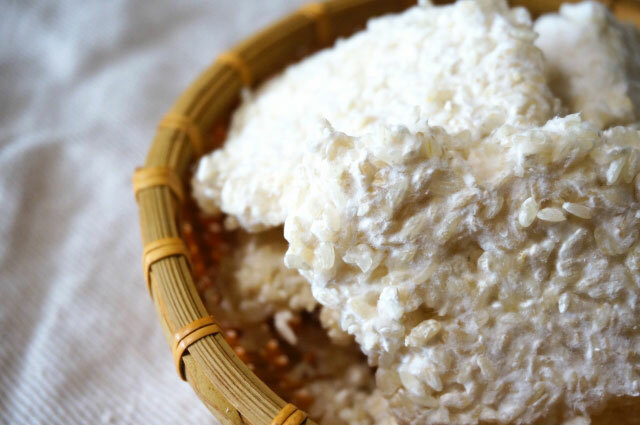 The process begins similar to sake production, in that steamed short-grain japonica variety rice is inoculated with black or white aspergillius oryzae mold, or koji. Once the rice has been broken down into starch, amino acids and citric acid, yeast and water is added to complete the koji. 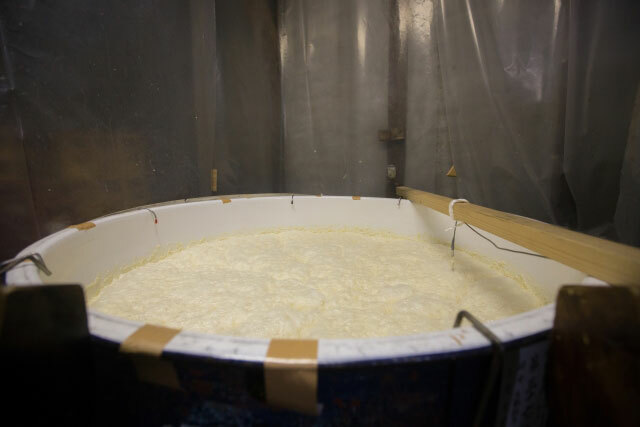 Left to ferment for approximately one week, the resulting mixture, or moromi mash, is the initial source of alcohol for the shochu. A base ingredient, such as more rice, sweet potatoes, brown sugar, barley or buckwheat, is added to the mix. The base ingredient gives the final shochu its distinctive flavor. This mixture produces the second moromi mash, which is let to ferment for two weeks before it is heated and cooled in a traditional distillation apparatus. The distillation process retains the characteristic flavor of the base ingredient, which is mellowed and refined while the shochu is aged from several months to a few years in stainless steel, wooden or ceramic vessels. Once the shochu is aged, it is diluted with water to the appropriate alcohol content of either 20%, 25% or 30% and then bottled and shipped. Awamori shochu is produced using long-grain Thai indica variety rice and only black koji. While honkaku shochu goes through two mixing stages, awamori is made using only one mixing stage, going quickly into the fermentation step and after distillation, it is aged for a minimum of three years. Awamori shochu, because of its long ageing stage, has a characteristic vanilla flavor and much higher alcohol content – 43%! Drinking shochu is a pleasure, especially at Japanese bars called izakaya in southern Japan. Beginners typically drink a rice-based shochu, called kome shochu, or a fruity cocktail called chuhai. 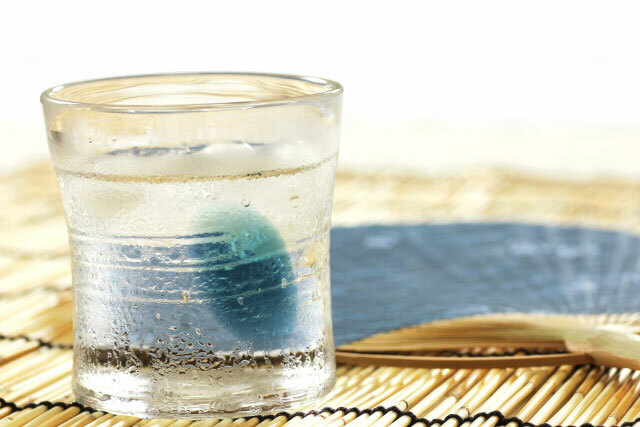 The simplest way to drink shochu is neat, simply poured into a glass at room temperature. But shochu can be enjoyed over ice or mizuwari-style, that is, diluted with a small amount of cool water to round out the edges of the alcohol. Oyuwari-style, or diluted with warm water, is ideal during cold weather and enhances the depth, flavor and aromas of the shochu and purists often enjoy shochu warm, without any added water. With the cold winter months coming up, we hope you’ll try some shochu at your local Japanese izakaya or restaurant. And as always, don’t forget to share your favorites with us! We’ve waited many months, but our Food Lover’s Tour of Japan finally brings us to Tokyo! 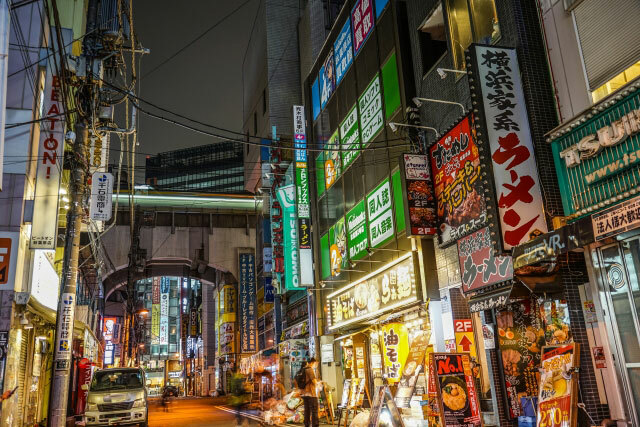 The capital of Japan, Tokyo is a bustling megalopolis, housing millions of people and serving as one of the economic, industrial, governmental and cultural centers of Japan. The city of Tokyo consists of 23 wards and two island archipelagos, with world-famous locations such as Shinjuku, Ginza, Shibuya, Tsukiji, Akihabara, Harajuku and Ikebukuro for their unique open-air markets and luxury shops, arts, nightlife, architecture and of course, restaurants. Attractions such as the Meiji Shinto Shrine, the Imperial Palace, which is surrounded by a picturesque moat and breathtaking gardens, Edo Castle and the iconic intersection at Shibuya Station draw thousands of people every year. One of the most famous areas of Tokyo is the Asakusa Area, home of traditional Edo-era living and the Senso-ji Temple, which was built in 628 by two fishermen who saw the image of Kannon, the Goddess of Mercy, in the Sumida River and sought to enshrine the area. To understand Asakusa’s significance, it’s important to understand Tokyo’s history. Tokyo is situated on an alluvial plain in the fertile Kanto Region of Japan, with many rivers and tributaries that drain into Tokyo Bay. In Neolithic times, this area was settled by fishers, hunters and gatherers, who thousands of years later learned to cultivate rice. They practiced an animist-based religion called Shinto. While ancient Tokyo remained a small set of villages, Japanese government and culture thrived in the Kansai Region, where Kyoto, the then capital of the Imperial State, flourished. Kyoto influenced Tokyo during feudal times, when the daimyo, or feudal warrior lords, were sent to the various regions of Japan to rule on behalf of the Divine Emperor. During this period, Tokugawa Ieyasu established a government in the area, drained the alluvial waterways and swampland, built Edo Castle and invested in the growth and development of the villages. Over time, Edo grew, and absorbed the Asakusa Area into its city borders, and during the Meiji Restoration period, the city became the capital of Japan. Today, the Senso-ji Temple is still a prime destination for visitors to Japan. 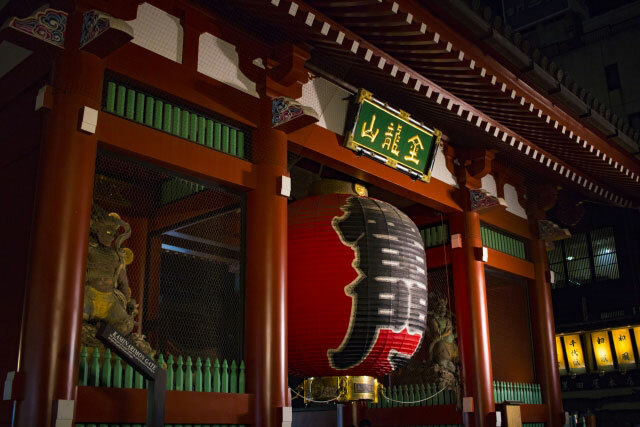 The Kaminari-mon Gate is a sight to see, with its bright red paper lantern adorned with the symbol for the God of Wind and the God of Thunder. Leading up to the temple is Nakamise-dori Street, where shops sell beautifully crafted paper artifacts as well as traditional snacks. And along with Sumida Park and a burgeoning entertainment district, Asakusa has many restaurants and eateries, and of course, a signature delicacy! Kaminari-okoshi is a snack that can be purchased from street vendors along the route to the Kaminari-mon Gate of Senso-ji Temple. These snacks are made by roasting sweet rice until it pops, then mixing the puffy rice with sugar syrup and other ingredients such as peanuts. 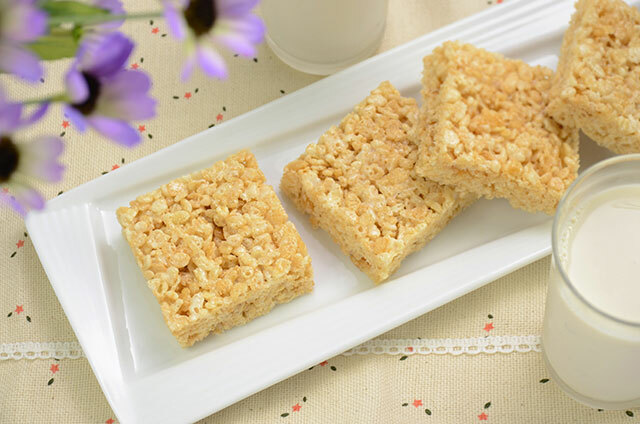 The mixture is formed into squares or rectangles for easy eating. The name of the snack stems from the Kaminari-mon Gate and “okoshi”, which means to establish a family or name, and is therefore thought of as a good luck item! Kaminari-okoshi is hard to find in the US, but our Crispy Rice Bricks come close. Similar to rice crispy treats, our Crispy Rice Bricks are made with puffed rice and sweet additions…and we hope that as you make them, you’ll remember Asakusa and the good-luck souvenir kaminari-okoshi! Be sure to share your comments and photos below! 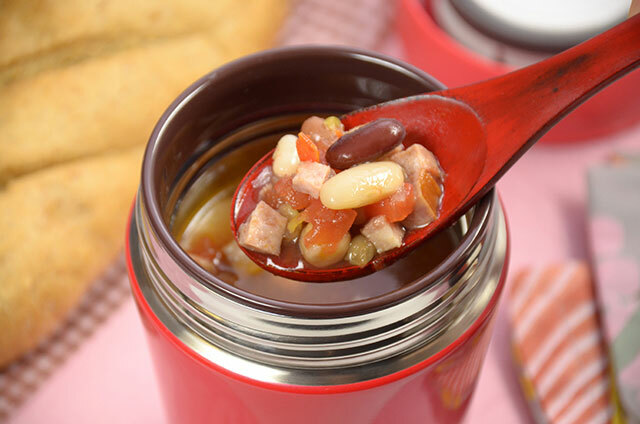 Our Stainless Steel Food Jar (SW-GCE36) is a great way to pack a fresh meal that you can take with, wherever you go! 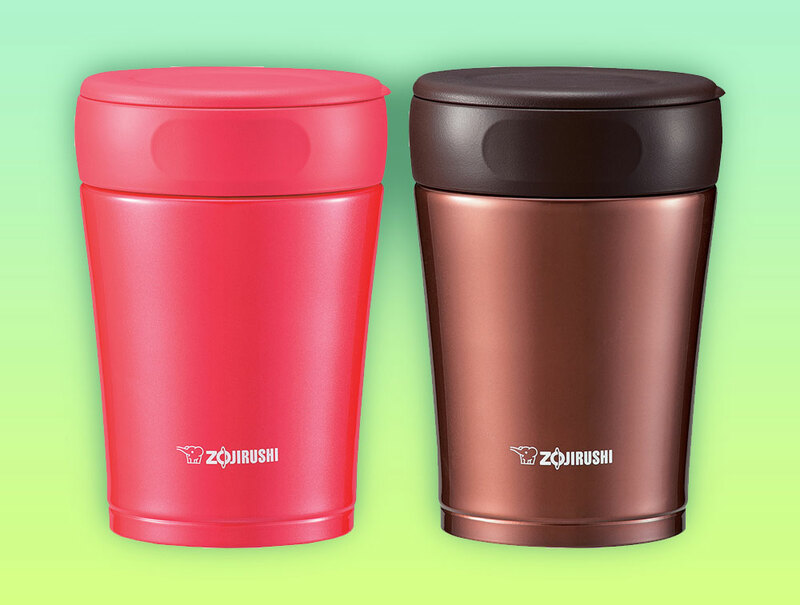 It comes in a 12 ounce capacity and two gorgeous colors–Nut Brown and Cherry Red. The modern design is both functional and beautiful, and takes up minimal space while maximizing capacity. 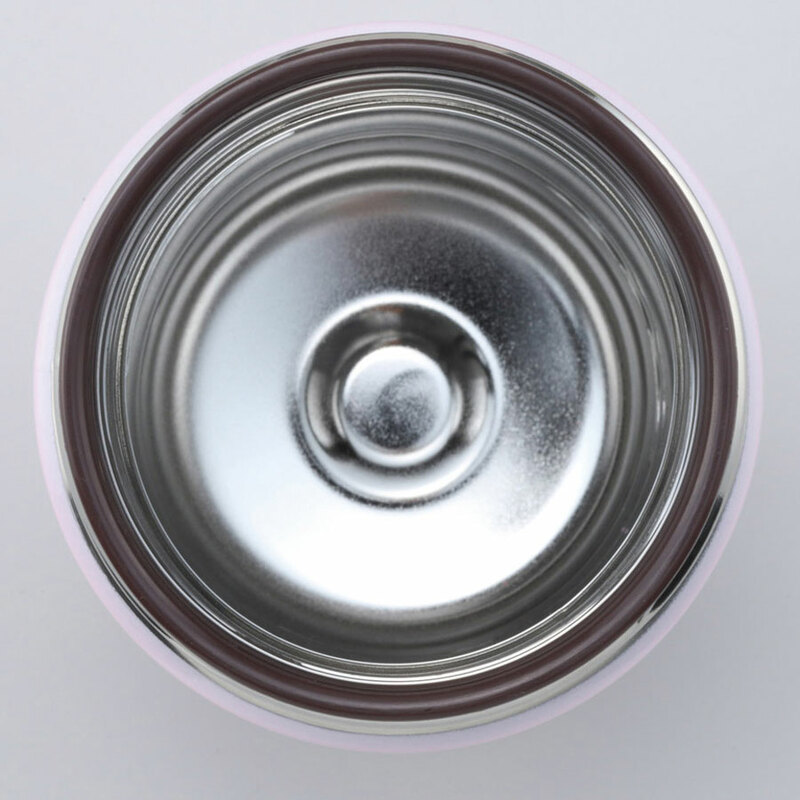 This food jar is made using our superior double-walled vacuum insulation technology, where the air between the outer and inner layers of stainless steel is removed, so that heat is prevented from passing through. Your food stays at an optimal temperature, hot or cold, until it’s time to eat. Foods stay fresh in the Stainless Steel Food Jar. The interior is made with sanitary electro-polished SlickSteel® stainless steel, which resists odors and corrosion. And the food jar is easy to fill with a 3 ¼ inch wide opening, and a flat interior that makes it ideal to eat and drink from. This food jar also has a unique removable plastic mouth ring which fits around the rim of the jar for comfort. The food jar and the lid are both easy to clean, and the lid completely disassembles, making it even easier. Place ¼ cup steel-cut oats and 2/3 cups boiling water into the jar. Close the lid tightly and shake gently. Let the oatmeal sit for an hour, and then shake the jar again. Let sit for another hour. * Wasn’t that a great tip? You can preheat and precool the food jars so they keep food as close to the original temperature even more efficiently! No matter what you bring in your food jar, it’s sure to be fresh and delicious! Find out more about this food jar on our website and as always, tell us about your favorite food jar recipe! Pronounced “sah-keh”, this alcoholic beverage is famous around the world. Sake is brewed from the fermentation of four base ingredients—rice, koji, water and yeast–and the unique qualities of each of these ingredients is what gives sake its subtle taste, pleasing aroma and alcoholic kick. Finding pure, clean, fresh water is the first task in making sake. Japan’s air, rain and volcanic soil is ideally suited to creating water that is full of the minerals that lend themselves to brewing sake. Saka-mai is a short-grain, large-kernel rice that is specially cultivated and harvested for sake. This rice is heavily polished, sometimes to less than half of its original kernel size, in order to produce a sake that is not contaminated with the proteins from the rice bran. The saka-mai is steamed and sprinkled with koji. These three ingredients are mixed with water, more steamed rice and yeast, and the resulting mash is stored in tanks, where it undergoes a process called “multiple parallel fermentation”, which is unique to sake. During fermentation, the carbohydrates in the rice are converted into sugar and alcohol at the same time as the yeast produces carbon dioxide, and low heat is added to pasteurize the mixture. Once the mixture is ready, it is poured into bags, the liquid pressed out, filtered and bottled. Nowhere else in the world has a traditional fermented beverage been developed that attains such a high level of alcohol content. This entire process is expertly managed by a sake master, the toji. And with that, we have sake. Sake is said to have first been brewed approximately 2,500 years ago. Originally, sake was brewed to propitiate the deities, thanking them for a bountiful harvest and asking them for prosperity and bumper crops in the future. Sake’s popularity grew and it began to be served in the Imperial Court. But sake brewing truly exploded and became available to the masses from the 12th-15th centuries. Today, sake is brewed all over Japan in modern breweries, and it is estimated at up to 15,000 varieties are created by large and micro-breweries. Drinking sake can be as casual as a quick tipple before a meal and as formal as a religious ritual. 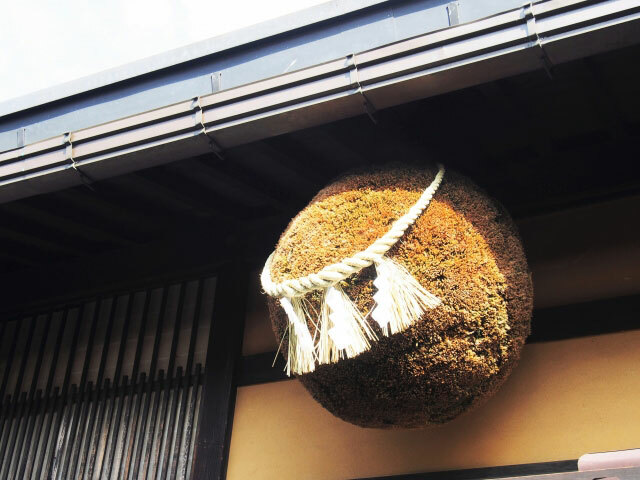 Every year in January, the sake season starts when breweries hang a ball made of cedar needles outside their front door. This signals that the sake is ready! Casks of sake are ceremonially breached, with the round lids symbolizing good fortune and harmony. Sake is famously drunk at traditional wedding ceremonies, at New Years and during festivals each season. Outside of these special times for drinking sake, people throughout Japan and the world enjoy it on a daily basis. Sake can be drunk either warmed or cold, as the temperature brings out different characteristics in the beverage. The flavor and aroma vary from light and fruity, with a sweet, delicate taste to a more mature, umami-based, acidic one. Sake can be light-bodied or full-bodied, dry or soft, flavored or unadulterated, aged and mellowed over time. In general, sake contains 20% alcohol, but water can be extracted from the beverage to increase the alcohol content, if preferred. Pairing sake with food is one of the best ways to enjoy it. Light, fruity sake pairs well with vegetables and flaky, white fish. Light and smooth sake pairs well with sashimi, matured sake with cheese and dishes basted with savory soy sauce, and full-bodied sake with red meats and yakitori. Trying the different varieties of sake is an adventure! 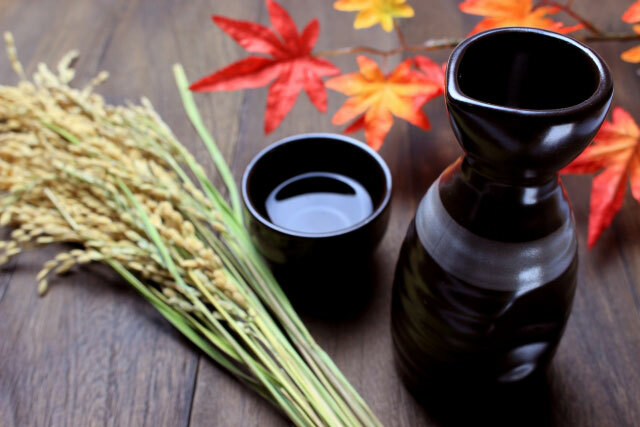 Sake is categorized as either junmaishu, where the only ingredients are water, rice, koji, and yeast, or honjozoshu, where distilled alcohol is added to the other four ingredients. Along with these two categorizations, sake is further be graded based on the polish ratio of the rice used. Ginjoshu is made with rice that has approximately 40% of its outer layer polished off, resulting in a light and fruity flavor, and a smooth mouthfeel. Daiginjoshu uses rice polished to 50%, which results in more refined and pure tasting sake. Junmai-daiginjoshu is considered to be the highest grade sake, as it uses the purest most refined ingredients: water, koji, yeast, and well polished rice. Don’t forget to share your photos with us! If you’re one of those people who are ashamed to admit that you’re “such a bad cook, you can’t even boil water,” you shouldn’t feel so bad. 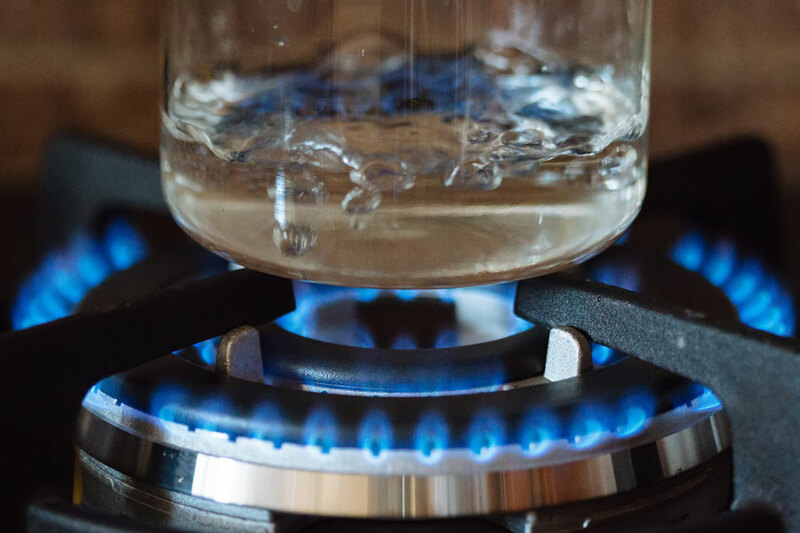 Boiling water is more complicated than you may think. 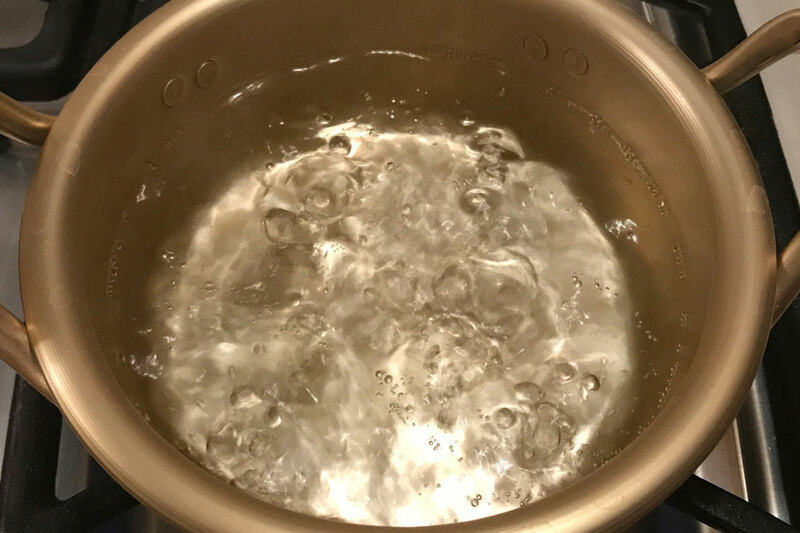 First of all, did you know there are 4 degrees of boiling water that are commonly found in recipes—SIMMER, SLOW BOIL, FULL BOIL and ROLLING BOIL. 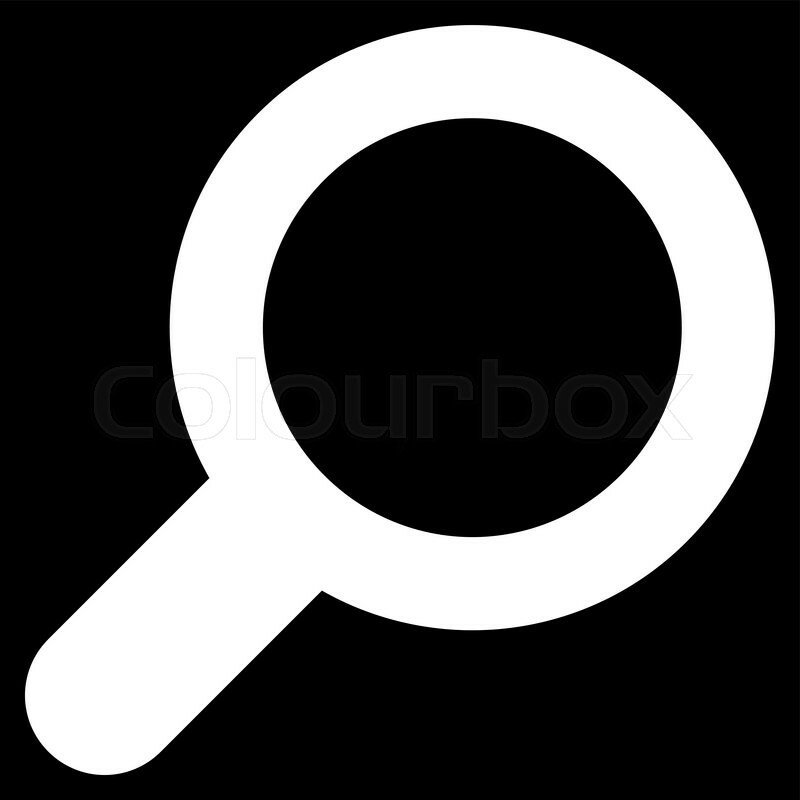 And let me preface that by saying the differences are kinda minute, so they may very well blend into each other. On the other hand, Chinese tea aficionados have an additional stage and have 5 degrees of boiling—all the better to be more precise, when you’re fussy about brewing your tea. 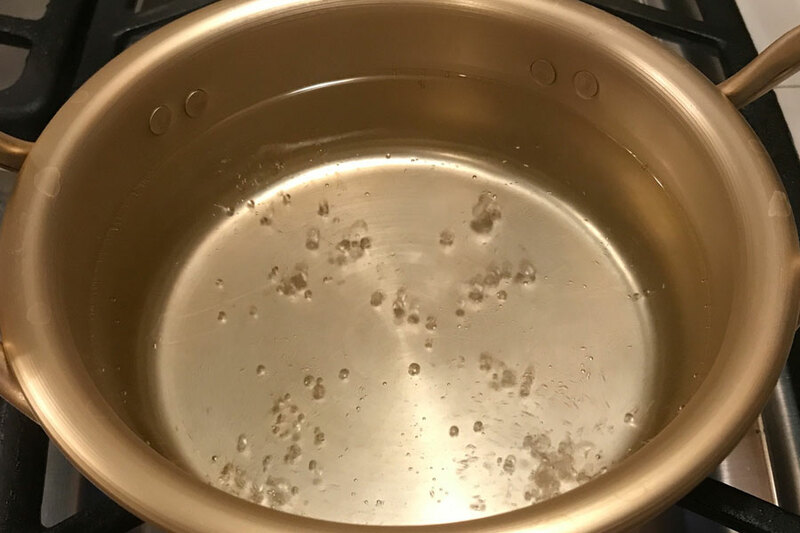 As in a “simmering feud”, at this stage, tiny bubbles have formed at the bottom of your pot, but they aren’t really large enough yet to rise to the top and break the surface of the water. Temperature is roughly 140°F to 170°F at this point, which makes it ideal for gently poaching meats, fish and eggs—keeping them tender and delicately preventing any harsh movement that could cause them to break apart in the pot. AKA the “lazy boil”, the water agitation is kept to a minimum and bubbles are rising and popping but kind of in isolated areas on the surface. The temperature is roughly 170°F to 195°F, usually the range used to make soup stock or slow-cooking stews. When meats are added to the stock, the lower temperature keeps the proteins from emulsifying into the liquid, keeping the stock clear—the created scum simply settles to the bottom of the pot. Now we’re at close to the boiling point, which is 195°F to 212°F; smaller bubbles are breaking over the surface everywhere and there’s all kinds of constant action. This kind of boil is best used for reducing sauces, which is a controlled way of evaporating the liquid in an open pot in order to thicken and intensify the flavor. The steam is also good for cooking tender vegetables in a basket placed above the boiling water. At the max temperature of 212°F, the water cannot get any hotter than this. Large bubbles are violently breaking over the surface and you’re in full agitation mode—so many bubbles that you can no longer cause any kind of break in the action by stirring. But because the heat is highest and constant now, the rolling boil is perfect for blanching vegetables or cooking pasta. With blanching, vegetables like asparagus or broccoli are scalded for a couple of minutes, then quickly removed and dropped into ice water. The sudden temp change shocks and stops the cooking process—preserving the color, flavor and texture. It also cleanses the surface of dirt and organisms, and helps to slow the loss of vitamins. Boiling pasta at this temperature has a couple of benefits. Al dente pasta usually requires a precise cooking time. 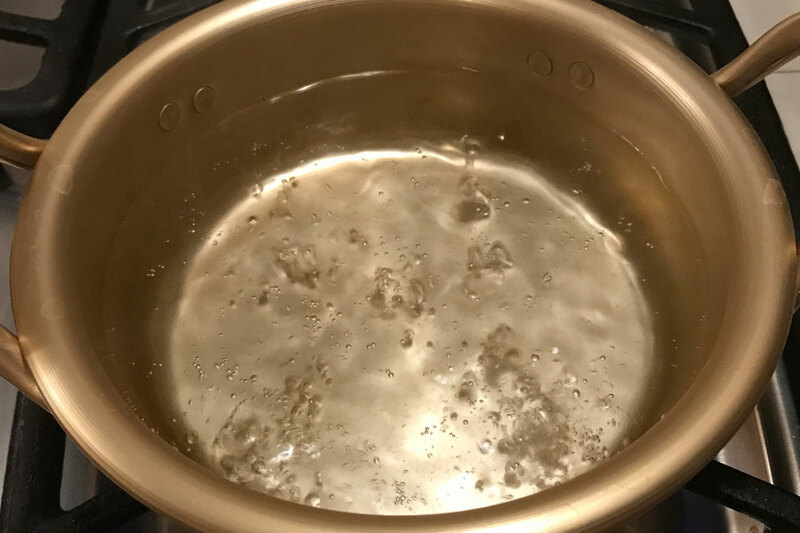 Since the water is already at its highest, any drop in temperature when you put the pasta in, is minimal and won’t affect the cooking time—so you can be accurate. Plus the extreme agitation helps to keep the pasta from sticking together. My Zojirushi Water Boiler has 4 temp settings that allow me to choose the best hot water for my tea. We drink a lot of Japanese tea around my house, so having one of these has become indispensable. To be honest, I’m probably not as critical about my water temperature as I could be, but the kids need it to be hot enough for the occasional cup of instant noodles—and you don’t need to be picky about that. I use it for instant oatmeal sometimes too. 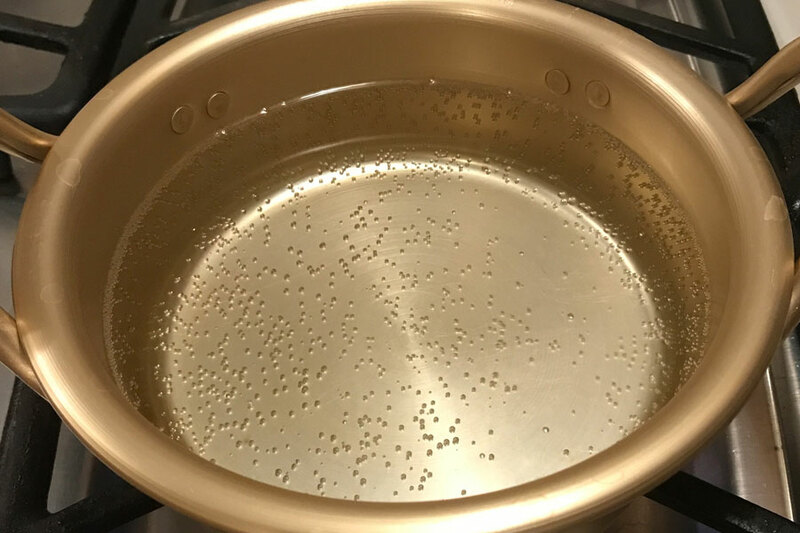 It’s interesting to hear how some older generation Chinese measured their boiling water by describing the bubbles and the water with colorful phrases. From simmer to boil, the bubbles grow from “Shrimp Eyes” to “Crab Eyes” to “Fish Eyes”. Then the action in the water starts to look like a “Rope of Pearls”, until finally the churning and swirling is like a “Raging Torrent”. So there you go—5 degrees of boiling water. I love those descriptions! 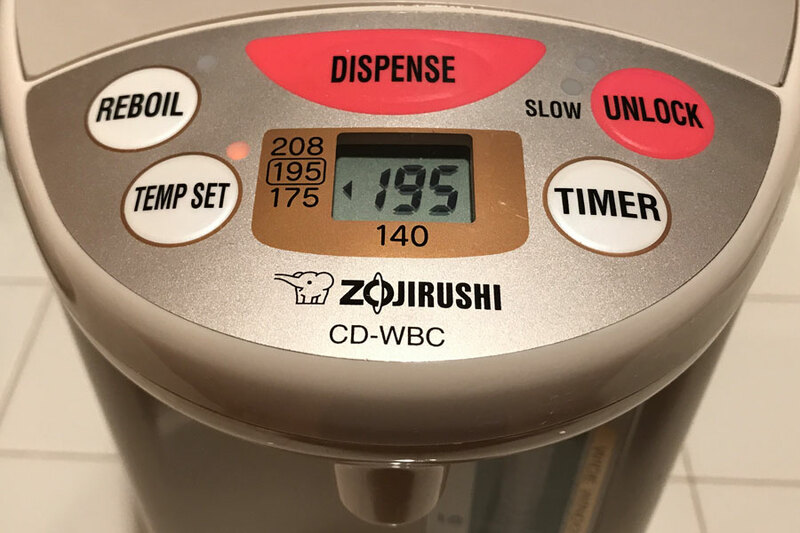 If you want to get more precise with your hot water and brewing your tea, you can read about it here on the Zojirushi site.